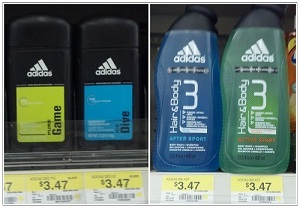 Adidas deodorant 3 oz., body spray 4 oz. or body wash 13.5 oz. regular price is $3.47 at Walmart. Use the $2 coupon and the final price is only $1.47.